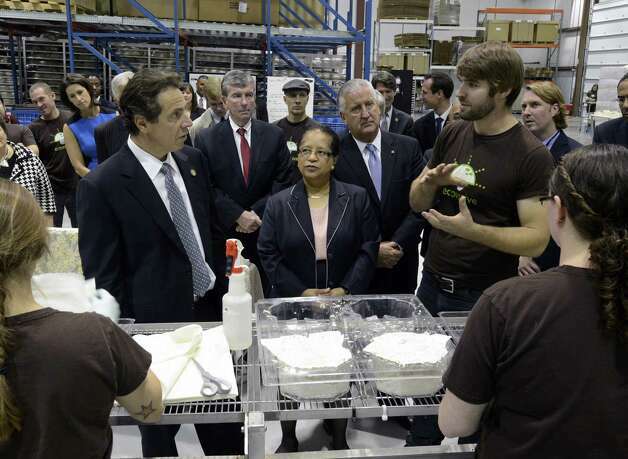 New York State Governor Andrew Cuomo visited Ecovative's facilities in Green Island, New York earlier today. CEO Eben Bayer hosted Cuomo's tour, and offered an overview of the company, the products, and the growth processes. Ecovative uses many agricultural by-products purchased from New York state farms and farmers as material inputs. The company's growth further supports the state's economy by creating jobs. Governor Cuomo expressed support and interest throughout the tour, claiming, "this is great. [Ecovative] should be very proud."